When I arrived, I found a piece of the past. Trapped in the shell of the present, awaiting the seeds of the future. Born in Nagoya Japan, Hisano first visited London in 1981. A resident of Somers Town since 1988, she has been witness to the large scale changes taking place within the area, such as the arrival of Euro Star and the Kings Cross redevelopment. 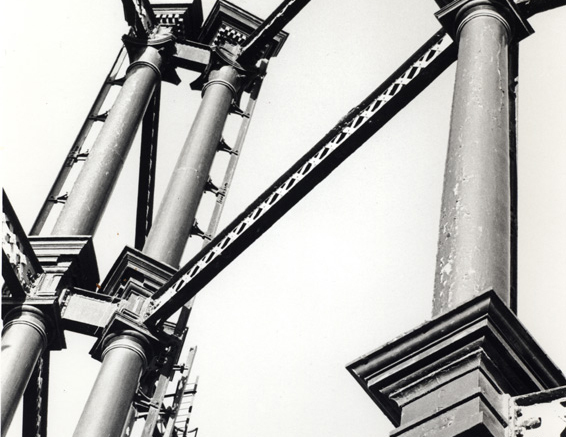 From her arrival in the UK, Hisano has always been facinated by Londons industrial heritage. and the majority of prints in this collection were taken whilst she was a student in Printmaking at London's John Cass school of Art and Design. Although at the time all of these photos were taken for personal pleasure, due to the areas subsequent redevelopment, they may now be seen in an entirely new light and stand as a record of the areas rich industrial heritage.